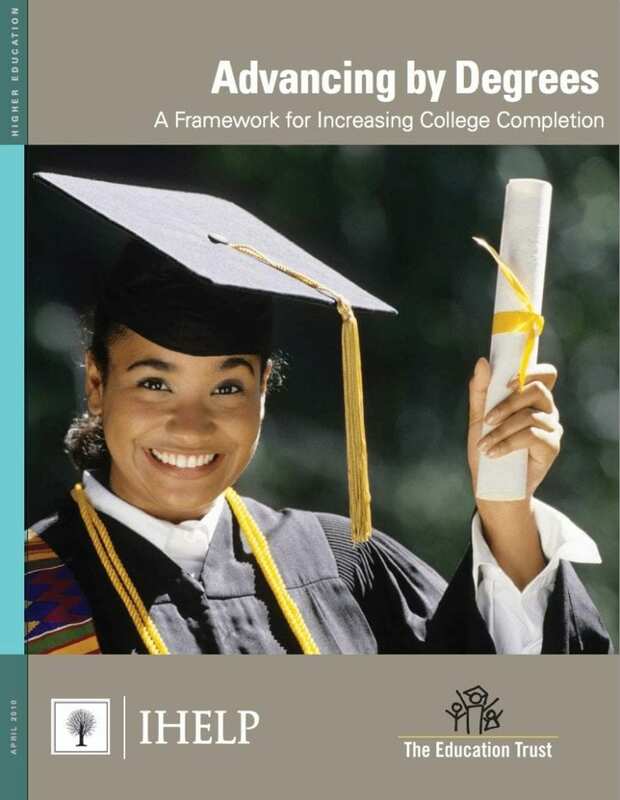 “Advancing by Degrees” is designed to help college officials monitor and improve graduation rates by providing a framework of on-track indicators that reveal patterns among groups of students—including those who are struggling and need help to graduate. These data, in turn, can help drive changes in policies and practices that can boost the number of college graduates. The Institute for Higher Education Leadership & Policy produced the report in conjunction with Ed Trust.